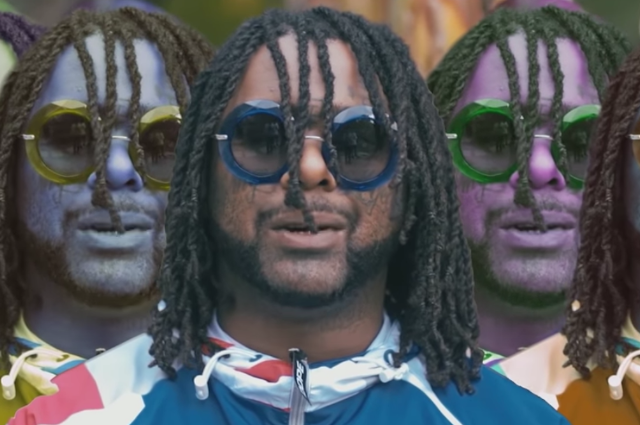 Following a popular remix featuring Rich the Kid last month, 03 Greedo’s “Fortnite” is getting another promotional push, this time via a music video that takes the lyrical references to his daughter’s favorite video game literally. In director Azeez Alaka’s treatment (for the non-remixed version), Greedo is a Fortnite character, prowling through underbrush with a machine gun amid psychedelically changing colors. Watch it below, and read Spin’s review of the currently incarcerated L.A. rapper’s latest solo album God Level.